Here you'll have new vacancy offered from PPSC Stenographer Jobs 2017 Disaster Management Department ppsc.gop.pk. 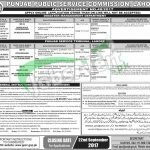 Applications are currently invited from Punjab Public Service Commission like every week is seeking to hire the educated, well disciplined and expert applicants are required to fill the vacancies in Disaster Management Department and Punjab Service Tribunal, Lahore the applicants have to apply for the following posts which are named as (Senior Scale Stenographer, Stenographer and Junior Clerk) are the posts which needs to be filled with overall qualification of Intermediate and Matric with short hand typing expertise in English and Urdu with 40 wpm speed for English and 60 wpm speed and as Urdu Typist speed of 25wmp is required with proficiency in MS Word and computer literacy is required as well. For some posts male and females are required but for Senior Scale Stenographer Shemales are also eligible to apply. Quota is reserved for Disable applicants and Women. Those applicants who bear the domicile of Punjab are welcome to apply. Now, I will let you know about it's further details below. Interested and willing candidates meeting criteria may apply via online at the official site of PPSC which is www.ppsc.gop.pk or through web link given below. The last date for submission of application is 22nd September 2017. Candidates willing to apply have to deposit Rs. 600/- for all positions as test fee in favor of PPSC. 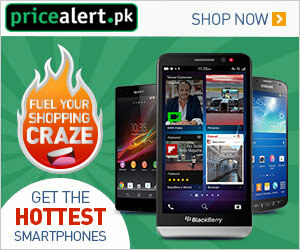 Test Fee can be deposited in any Branch of State Bank of Pakistan or National Bank of Pakistan or Government Treasury. After registration procedure roll number slips for written test and test schedule will be available on official site of PPSC and it will be communicated to the eligible candidate via SMS. So, for more awesome jobs stay tuned with this page always. Guys, if you are truly in search of PPSC jobs so tap to this platform where you will get every weekends PPSC jobs with full and final details.